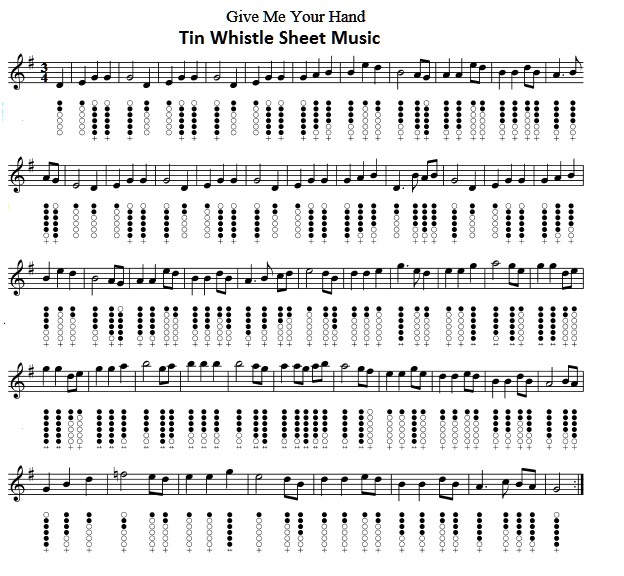 Give Me Your Hand Tin Whistle Sheet Music. Recorded by Planxty, the words were added at a later date by The Wolfe Tones. As far as I know nobody besides the 'tones recorded this song.